Capital A: What are you wearing? 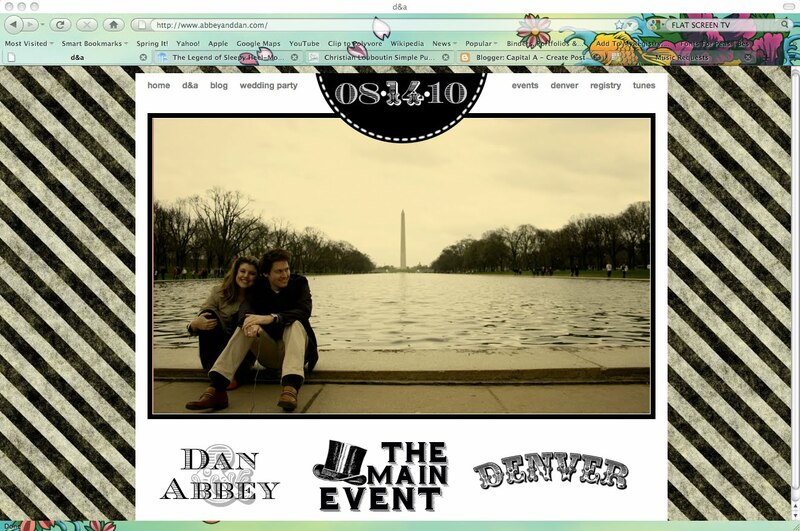 Attire and song requests are the final additions to our fabulous website facilitated by world's greatest web designer/best man/future bro-in-law, Ben Watson. It rocks my socks off. We are probably the most difficult clients he's ever had/will have (and by we, I mean me) and I can't thank him enough for tolerating and accommodating every nudge, tweak and edit. The final product is quirky, crazy and very us. I hope you'll look around at all the various details, add in your song requests and browse some of our favorite Denver haunts. 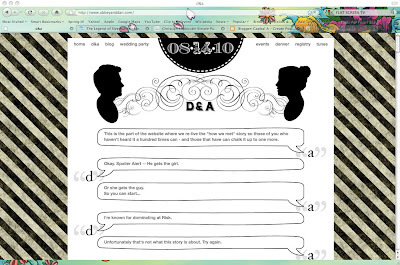 It's over at www.abbeyanddan.com if you haven't visited yet! The website is STUNNING! Bravo to your precious brother-in-law!